Fill in your details below and we will let you know within 24 hours if we can get Say Anything Family Edition to you with haste! 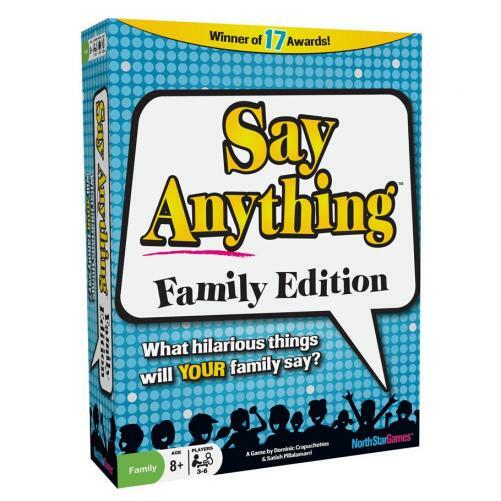 Say Anything Family Edition is a game that will get the entire family talking and laughing in minutes! This light-hearted family oriented version of the popular adult party game gives players the chance to settle questions that have been hotly debated for centuries.